Hello one and all and welcome to a new series of blogs showcasing new and exciting units for you to use in games of Halo: Ground Command. We’ve recently seen the release of no less than two new Air Support Mission Flyers and a down-scaling of the Pelican and Phantoms for easier use in your games too. Today, we thought Spartan Barn could look at these exciting new models and talk tactics and strategies. Our highly-detailed 1/300th scale models are designed to assist you in bringing ASM Flyers to your games, effectively replacing the basic Shadow Templates. Think of these as deluxe tokens which you can paint! 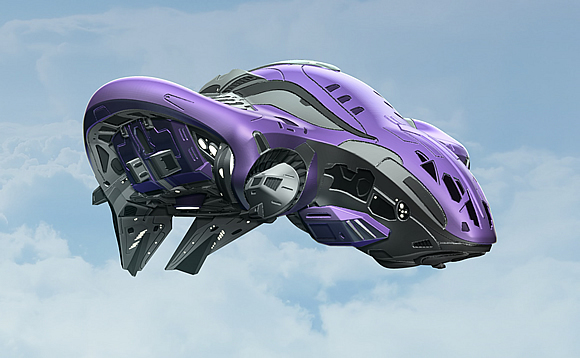 The first of the two brand new flyers is the Covenant Seraph. Designed as an air-superiority fighter, its Heavy Plasma Cannons actually make it a very versatile and powerful predator. Able to dominate the skies against enemy flyers with its Combat Air Patrol (CAP), costing zero victory points so can be constantly ready to strike, or swoop in on unsuspecting enemy ground forces and threatening even the heaviest of Infantry units with its whopping 13 AP dice! To top it all it only requires 3 BR to bring to the table, so you could potentially fit two in the majority of Battle Groups! And at 180 points each to dominate the skies, what Covenant player could pass it up that opportunity!? 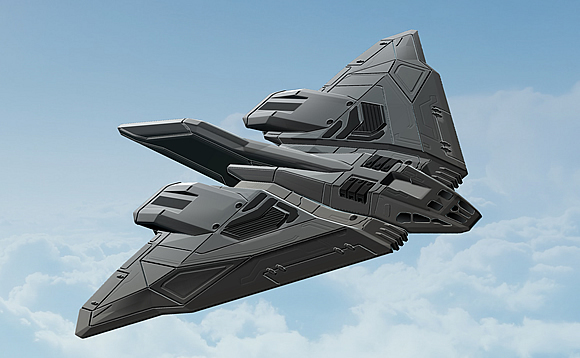 Next up is an addition to the UNSC armouries in the form of the Longsword Strike Fighter. Like the Seraph, the Longsword can control the skies with its powerful Rapid Fire Coilguns, or attack ground targets with its Guided Missiles. Its different weapon systems give it that crucial edge in that it can threaten two separate targets when it comes in for an attack run, potentially swotting any Hover Flyers and bombing enemy armoured units too. The model itself creates an imposing shadow on the battlefield, with its distinctive ‘V’ wing shape, Covenant forces are sure to run when one is called in. Like the Seraph, a Longsword only requires 3 BR to bring to the table, so two in the majority of Battle Groups is most doable. The Pelican is the premier UNSC assault transport, and the new down-scaled version of the ubiquitous craft really captures the majesty of the original design, yet makes it accessible as a gaming piece. The Pelican is a truly versatile piece of kit, able to deliver and reinforce your troops, provide support in the form of ammo caches, or simply attack enemy units. It also has two different weapons to provide the ideal type of covering fire; from the Autocannon to send high-velocity shells to destroy enemy armoured vehicles or the Missile Launchers which are able to saturate enemy infantry formations with explosive fragmentation projectiles. We love our 1/100th scale Pelican model, but an accurate scale model is big. This can make it difficult for players to transport from game to game, and it is this which inspired us to create the 1/300th scale variant of the Pelican and Phantom. 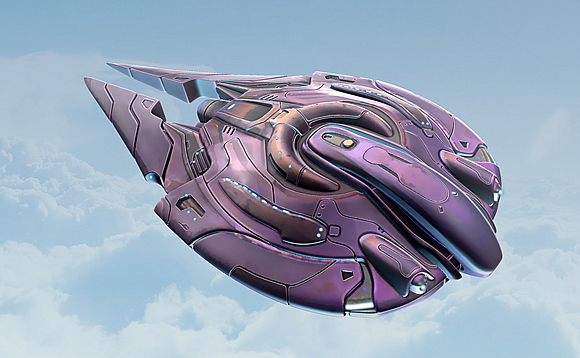 In a similar way to the Pelican, the Phantom serves as the primary mode of transporting Covenant units to a dangerous area and providing fire support as it does so. It actually carries three different weapons, with the Heavy Plasma Cannon positioned at the front and ideally designed to attack enemy tanks, whilst the side Plasma Cannons able to scythe down any infantry threatening your disembarking troops. 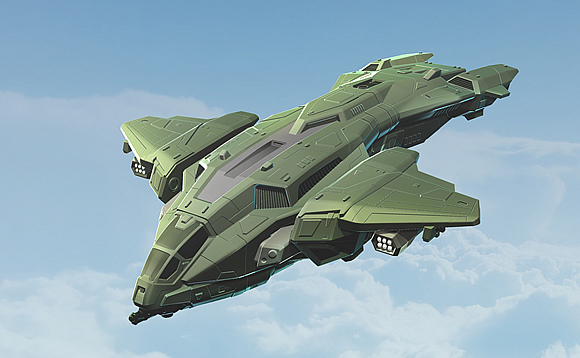 The sleek, round-edged new down-sized version is a true wonder to behold, skimming over the battlefield and supporting your ground operations and bringing the Covenant one step further to the Great Journey.